TRADE DEBATE: SA-Best MLC Frank Pangallo has told State Parliament of the strong support for regulated shop trading hours in Millicent. 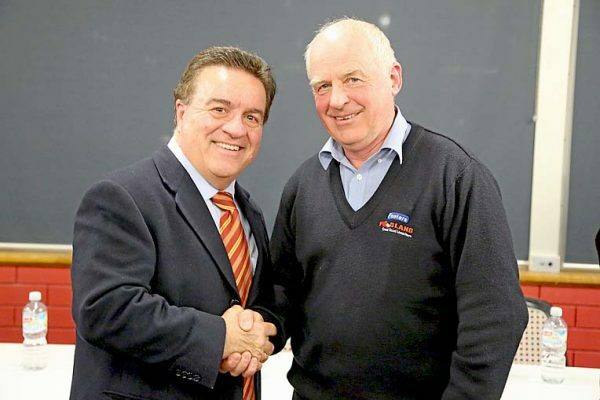 Mr Pangallo met with Foster’s Foodland owner Brian Foster at the community forum, held earlier this year. The first-term MP indicated he and colleague Connie Bonaros will vote down changes which seek to allow large traders to open 24/7. MILLICENT’S overwhelming support for retaining its regulated status was a centrepiece of SA-Best MLC Frank Pangallo’s speech opposing the State Government’s proposed shop trading reforms. The first-term MP told the council of the strong response at the SA-Best shop trading hour community forum held in Millicent earlier this year.